How come when I try to upgrade to 3.14 when hitting install it says unable to install ? It first says it will delete 3.10 and I hit ok then it won't install the new version? Ok thanks for the run as admin tip. Now, where exactly do you load protee and go to the pro shop? 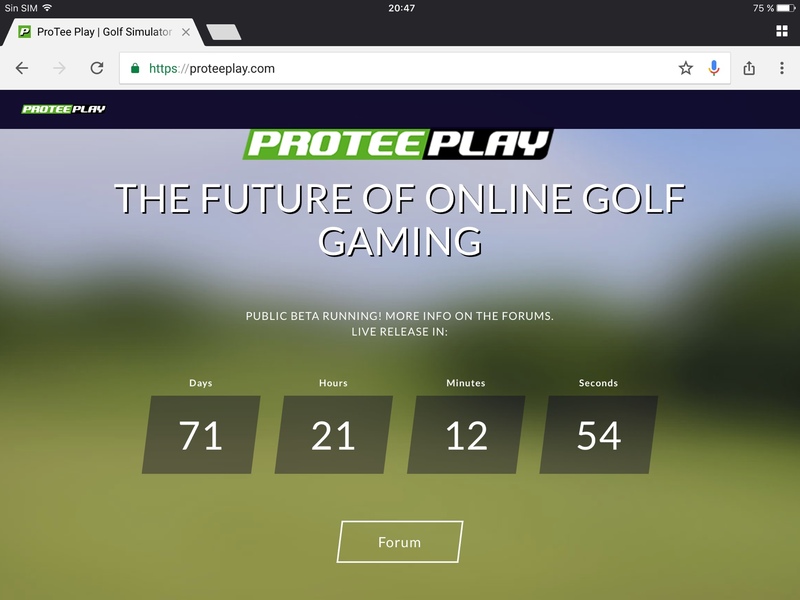 I went on chrome browser got to proteeplay site but it's just a timer to release day. No other options. Send me a PM if you want to join the beta. I will give you a key which you can activate in the pro shop. How exactly do you find the pro shop?? can gc2 users try this? Yeah, i have tgc. Cool, i will look into more tonight. Thanks! Last edited by Jwheels9876; 02-09-2018, 04:09 AM. Does this work for SkyTrak users?? Yes when it's out of public beta. Still can't get this to work after numerous attempts. Have protee portal loaded with key and protee play selected. Have GSX connected and says connection with protee play established. But how do you get to protee play on chrome browser? I'm just getting the countdown clock the guy posted above. I have a GC2 as well. I downloaded the ProTee interface that is needed, set it to ProTee play and ran the app in Chrome. You have to have Chrome. Within chrome, you go to a site I believe . ProTee United when i try to load proteeplay website, i get an error message, something about running the Unity content. any help?? Just replied to your PM. Let me know if that solves the problem.